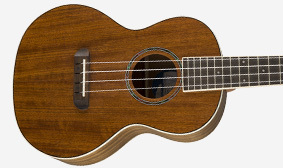 Packed with elegant style and top-notch features, the tenor-sized Rincon Ukulele has a rich, deep voice that's uniquely inspiring. 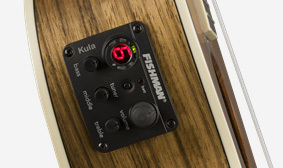 "Electrifying" isn't a word one usually associates with ukuleles, but for players who want to plug in and get loud, the Rincon features an onboard Fishman® Kula preamp. Crafted from ovangkol, with a solid top for enhanced volume, this ukulele sings with full-bodied chime while boasting a natural appearance. 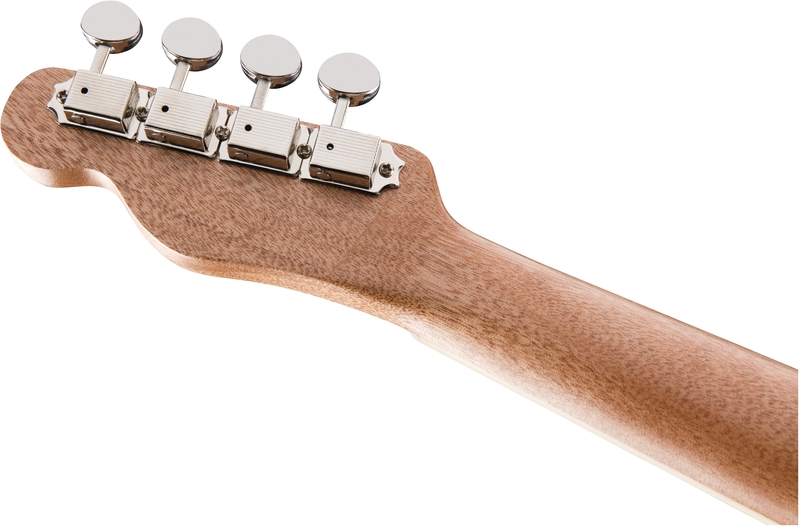 A pull-through bridge, bone nut and saddle, and eye-catching abalone rosette round out the modern features. 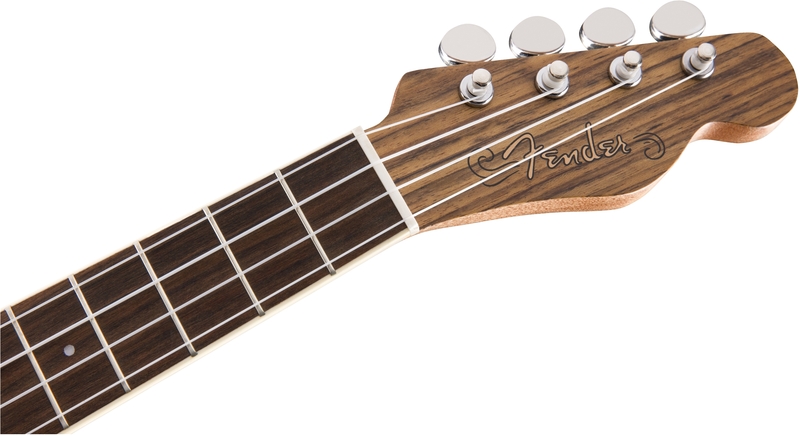 The Rincon V2 now features a 4-in-line Tele® headstock with vintage-style closed-back tuning machines, for that unmistakably classic Fender look. 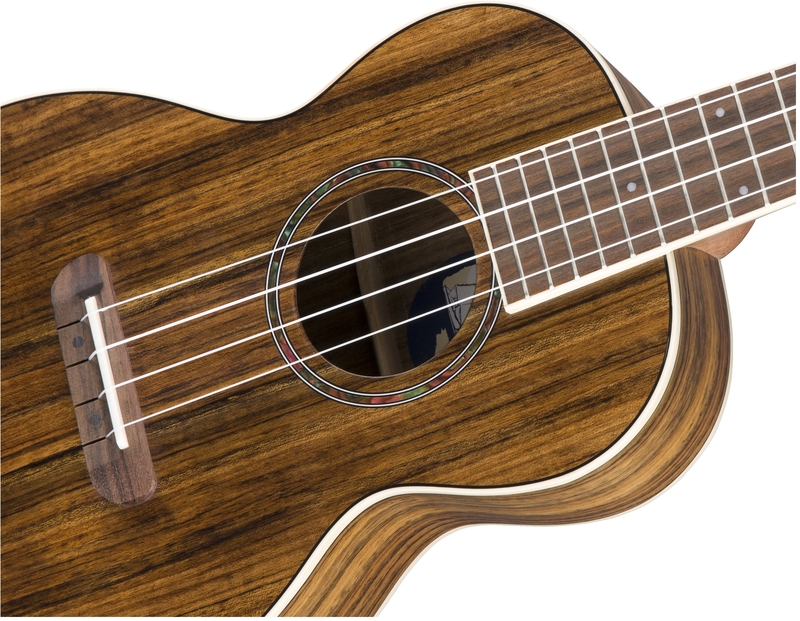 Whether you're counting sets on the coastline or playing your heart out on stage, your Rincon Ukulele is ready to help you make waves. 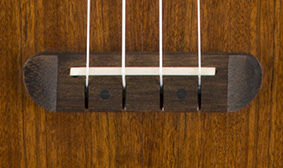 California Coast ukuleles feature a convenient no-tie bridge, making string changes a breeze compared to traditional ukulele bridges which require special knotting. 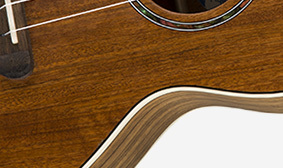 An acoustic instrument with a solid top resonates more because it's uninterrupted by lamination or vibration-killing adhesives—it vibrates with organic consistency. 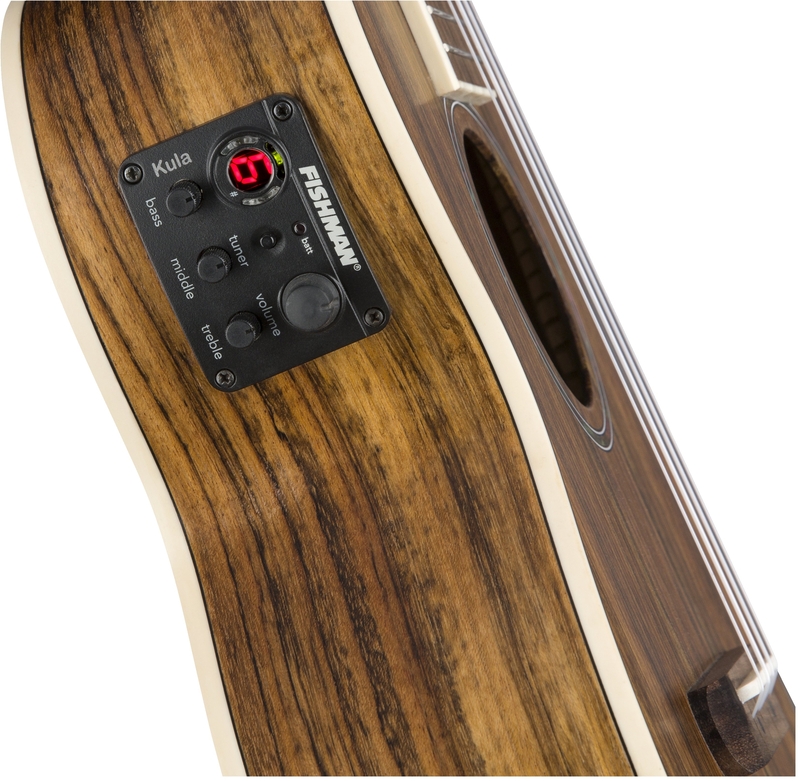 The Fishman pickup/preamp system with a variety of onboard controls amplifies your instrument without compromising its pure, rich and resonant tone. Constructed from ovangkol, a relative of rosewood, this instrument has rich, warm tone and a darkly, beautiful aesthetic, with distinct grain patterns. 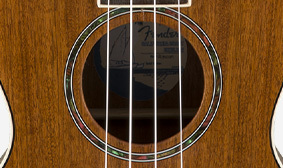 The elegant abalone rosette adds a sophisticated touch to the body of this finely-appointed instrument. 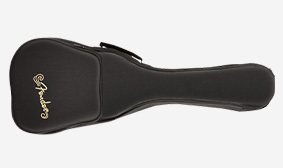 Keep your instrument safe and sound while traveling with the included gig bag, which offers plenty of protection and storage space for accessories.